… is one of the most misquoted lines in movie history – the actual quote is “If you build it, he will come.” Shoeless Joe Jackson said this in the 1989 film Field of Dreams. Titles are intended to catch your eye and interest though. Did it work? 🙂 I hope so, because we’ve been rebuilding a few things around here and we’re excited to share the news with you! So, thanks for coming! Last week we completed a whole host of visual, informational and functionality updates on our website. We’re very happy with the changes because we’ve retained the crisp, clean, modern look and feel while adding more tools to further engage and inform you while you’re on the hunt for the perfect mortgage! The team at Your Money Matters Inc. has a rock-solid reputation for being a friendly, professional, experienced, helpful and caring bunch that consistently delivers on our promise of finding YOU the mortgage product that best suits your needs while doing so in a personalized manner. This regularly surprises our new clients; because in this age of connectivity, there may indeed be seemingly endless ways to connect with people, but we are deep into the digital era and it’s apparent that there is still a major client service disconnect in many industries. Has the internet and social media actually disconnected us? There are so many ways to connect with people. Obviously social media keeps us connected when we can’t actually be present and that’s great! But when was the last time you sent a client or a friend a hand-written letter? Do you prefer to send a text over picking up the phone? The team at Your Money Matters Inc. actually does both. Texts and emails are quick and convenient, but a phone call establishes a personal connection. Use both so that your clients and friends know that you are considering their time but also their need to know that an actual human is on the other end of the cyber-line. 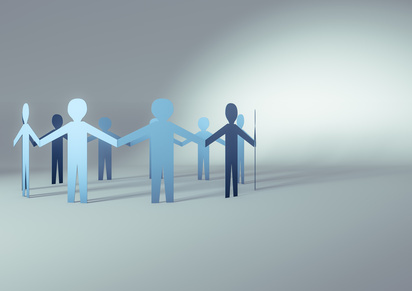 In the finance industry once must make a personal connection. This establishes trust. I’ve covered this topic before because it’s vital to our success and to your comfort level. Transparency is only visible in person. With this being the case, we regularly invite our clients to our office. Whether it’s to stop in and enjoy an amazing espresso and some irresponsible sweets from the best bakery in Woodbridge (which happens to be next door to our office! ), or to consult or review documentation; our door is always open and we invite you to pay us a visit. If that’s not convenient, well we’ll come to you. It goes without saying that building, launching and maintaining a company website is absolutely necessary. (By the way, we work with the amazing team at GEEKPOWER every time the creative bug bites us and we decide to build out our website further. Give them a call if you’re in need of a website). We regularly monitor traffic on our website and we see that our traffic is steadily growing. Our referral base continues to grow as a result. It’s a chain reaction. We close a deal – the client is happy – the client refers a friend or family member – they visit us online – call us – and the cycle continues. The Your Money Matters Inc. website is definitely one of the best investments that we’ve made since opening the doors at our current location nearly three years ago, in March 2011. Prospective clients can research their mortgage options on our site, they can link to other useful resources outside of our site, they will find recommendations for our service partners, and they can stay abreast on various related topics in our blog section. We love connecting with you and we want to make the experience of visiting us online different than that of what you’d expect from a mortgage brokerage. That’s because we, generally speaking, are not what you would expect in person; hence the design and recent overhaul of few key elements. With our updated website, we feel that we’ve visually and functionally captured the essence of what we are as a team; which is to say that the website design represents our collective passion for offering you professional, effective, informative and fun information pertaining to all things related to home ownership and related financial matters. You may have already noticed the JQuery Rotator on our homepage. 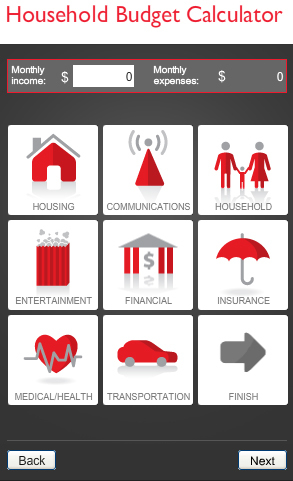 It’s the featured item, top center, that flips through various images and mortgage related content. We introduced this feature at the initial launch of the website a little over a year ago, but the recent changes now highlight new images and revised informational product and service text. It rotates every 7 seconds or so (but you can advance through it quicker by clicking on the arrows to the left and right of the rotator) and you can now click on an image or subject that interests you and you’ll be linked to the page within our website that highlights that subject. Convenient, n’est-ce pas? We know that the best way to make an impact online is to share great content, so with this in mind, we redesigned our main Blog page to make our blog entries easily accessible, easy on the eyes, and much more cleverly displayed (insert pat on back). Each blog entry is now highlighted on a ‘card’ like those that you see above. 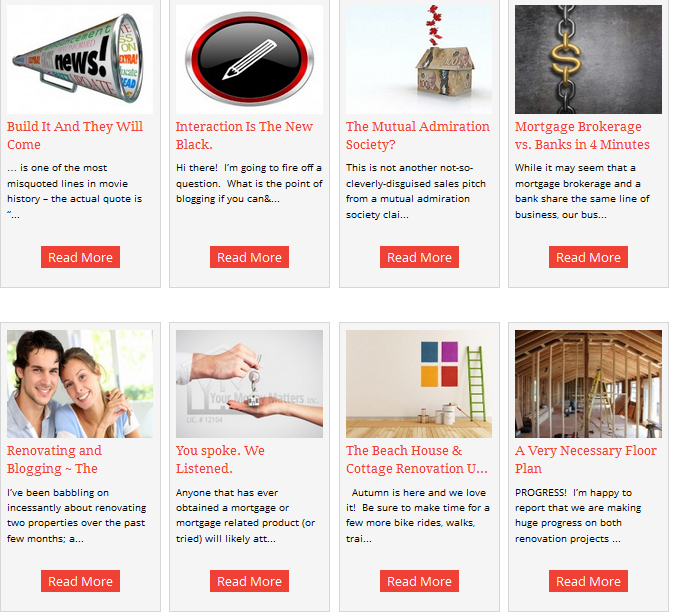 This provides you with a snapshot of the various blog topics. A few topics that we’ve covered thus far include home ownership, home renovation, personal finance and money saving tips and tricks. So you can now peruse numerous blog entries at a glance and then Read More on a topic that interests you simply by clicking the card. If you like what you see and read then we encourage you to SHARE the blog entry with your friends and family via the new Facebook, Twitter and Google+ counters and sharing applications on the top right side of each blog page. Please be sure to comment too! 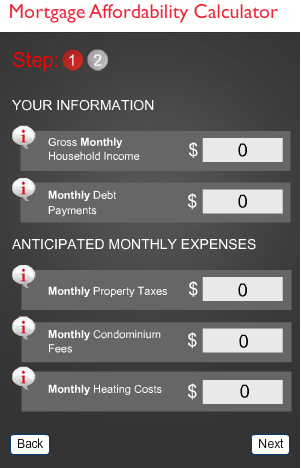 The Household Budget Calculator: Compare your income with your current or planned expenses and debt payments and see what you can afford. 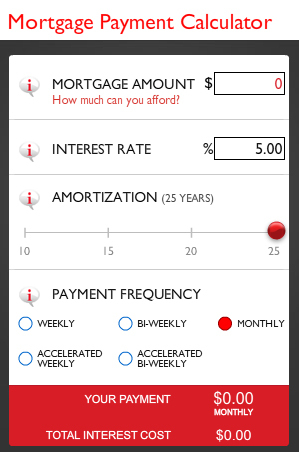 The Mortgage Payment Calculator: Find out how much and how often your payment will be. Compare options and find one that’s right for you. The Mortgage Affordability Calculator: A very easy-to- use mortgage tool to help you estimate the maximum mortgage you can afford. We hope you find our site helpful. We’re confident that it’s the best starting place for anyone that requires a mortgage product. Our friendly and professional team is here to assist you from beginning to end, so please do reach out to us at any time to discuss your needs. Later this year we are implementing another new feature that is set to be unlike anything you’ve ever seen. We are launching a loyalty program for clients, referral sources and real estate agents alike. It’s going to be fun, profitable for YOU and beyond the scope of anything currently being offered by our competitors. Oh yes, IT.IS.ON. 🙂 That’s all I can say for now. Stay close. Real close. blog blogging client service CMHC Credit Repair debt consolidation finance First Time Home Buyer geekpower home ownership Home renovation jquery rotator loyalty program mortgage Mortgage Broker Mortgage Brokerage mortgage brokers mortgage broker Toronto mortgage broker woodbridge mortgage calculators Mortgage Financing Mortgage for Self Employed mortgage options Mortgage Renewal New to Canada Private Mortgage real estate refinance Second Mortgage The Mortgage Centre website updates woodbridge your money matters Your Money Matters Inc.